During his discourse at Shri Harigurugram in February 2005, Sadguru Bapu announced about ‘Shree Punyakshetram’. 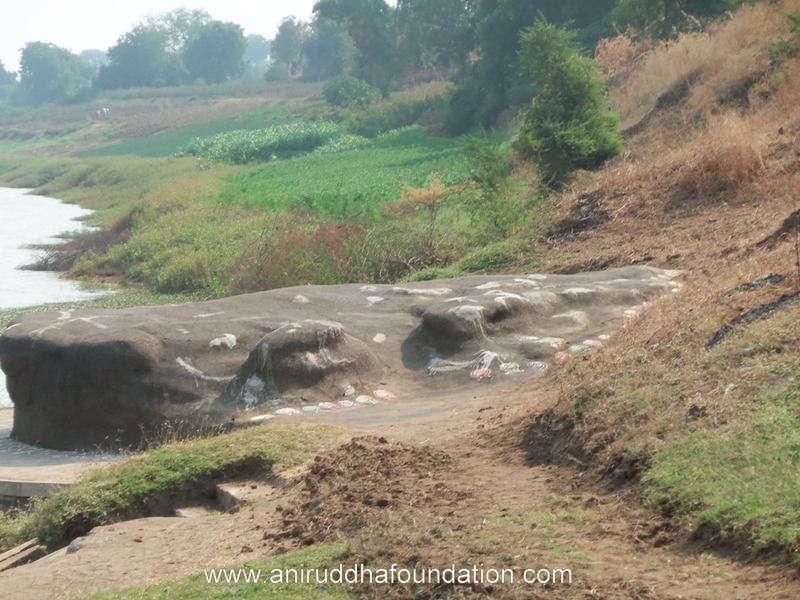 Punyakshetram is situated between the rivers Panjhra and Tapi near the village Neem in the Amalner taluka of district Jalgaon. It is spread over an area of approximately 48 acres. This place on the banks of the Panzara and Tapi rivers is highly sacred. Since ancient times, innumerable Sages have done penance here. Sadguru Aniruddha Bapu has also given the reference of this place in his editorials named ‘Tulsipatra’ in the daily newspaper Pratyaksha. This place is Gopinath Shastri Padhye’s (Bapu’s Sadguru in the human form) location of penance and is also the place where Vardhaman Vratadhiraj was done by him for the first time. Gopinath Shastri Padhye started Vardhaman Vratadhiraj at this place and after practicing it a thousand times, Sadguru Aniruddha Bapu opened it to all shraddhavans in 2005. ‘Anandsadhana’ of the ‘Shreemad Purushartha Granthraj’ details all information about this. During the period of the Vratadhiraj, shraddhavans can visit Shree Punyakshetram on any day and recite the vrat-pushpa by being seated at the holy rock. Also, the story of Dattaguru’s picture at Gurukshetram is associated with this place. Shraddhavans can take darshan of an enlarged image of this picture at Shree Gurukshetram, Khar.